Gabriele Morgan has a rich history in the Los Angeles music scene as a singer and songwriter, going back to her first solo EP “Buried Treasure” (What? Records), her band Doll Congress with Michael Penn (Enigma Records), and her subsequent collaboration with fellow writers and musicians Gar Robertson and John Bitzer as Valentine’s Revenge. Now producing and recording her own solo work, recent projects include the album “Secret Child” and the “Savasanas, Inner Time Music” series, which is played around the world in yoga studios and by people seeking music-induced therapeutic relaxation. Inspired by the explosion of public transit in Los Angeles after passage of the 2008 Measure R sales tax, Gabriele's “LA’s Got Lines”, both song and video, is used by the non-profit Move LA to promote expanding transit in Southern California. Most recently, Gabriele has coined the term Atomic Pop to describe her new release “Big Mama (Sexing the Bomb)”. The song riffs on the absurdity of attributing gender to the atomic bomb dropped on Hiroshima in 1945. 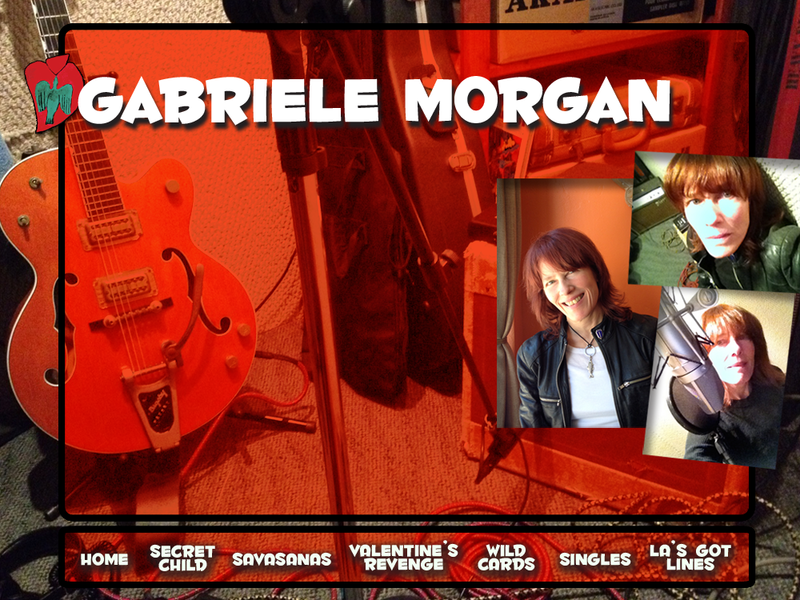 More songs by Gabriele as well as Valentine's Revenge can be found at gabrielemorgan.com, as well as all popular online music sources. Of note: Gabriele’s song “What You’ve Got”, performed by Valentine’s Revenge, was in the feature film “The Perks of Being A Wallflower”, released in 2012, as part of the soundtrack to the film. Gabriele Morgan's music stands out for its combination of rich melody, lyrical intelligence, emotional insight, and a love of subtle wordplay which rewards repeat listening, as well as for her impassioned nuanced vocals. To hear Gabriele’s work, please visit gabrielemorgan.com; to contact her, please email Gabriele at info@gabrielemorgan.com.